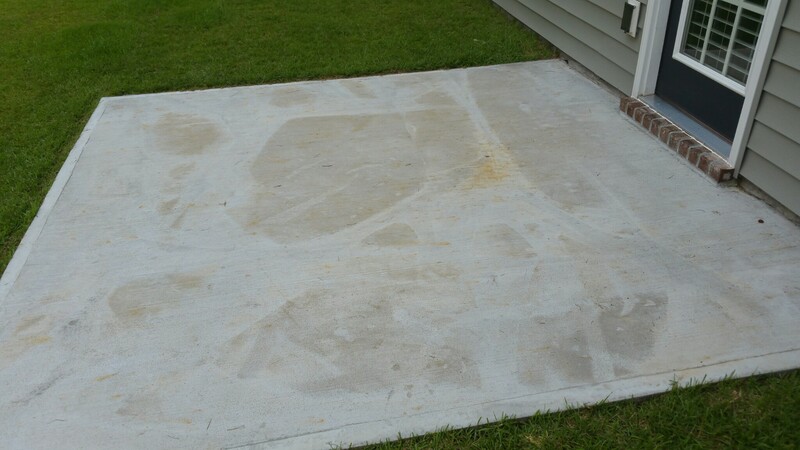 Chatham Property Maintenance provides rust removal services to Savannah and surrounding areas residents. 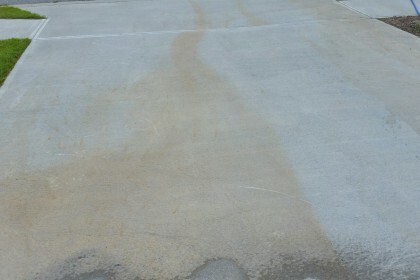 We have professional equipment, chemicals and most of all knowledge to handle all rust removal projects. Chatham Property Maintenance was called out to a residential property located in the beautiful Georgetown community of Savannah, Georgia. When we arrived at the rust removal job to provide the client with her free no obligation quote, we could immediately see disaster had struck. 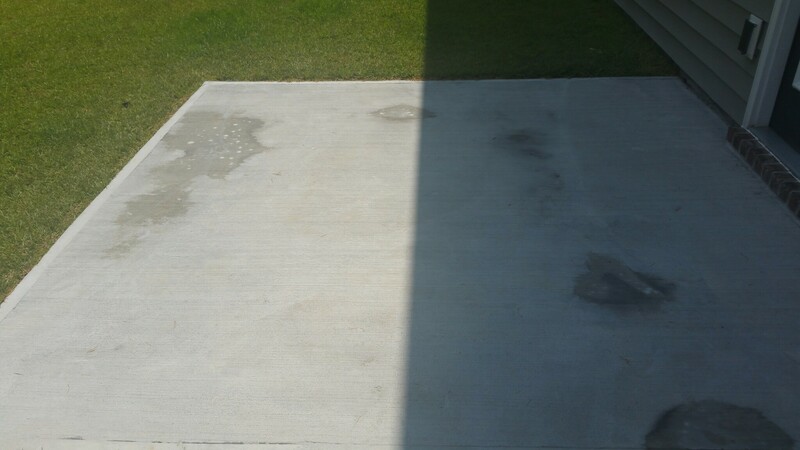 This client had fertilized the lawn and did not blow the fertilizer from the concrete back into the lawn (after fertilizing immediately blow the fertilizer back into lawn, to prevent rust caused by fertilizer). That was not where the problem stopped. Afterwards he went to the big box home improvement store to seek advise. He left the store with two gallons of Muriatic acid to remove the rust stains :-(. Muratic acid is also recommended on the internet for rust removal. 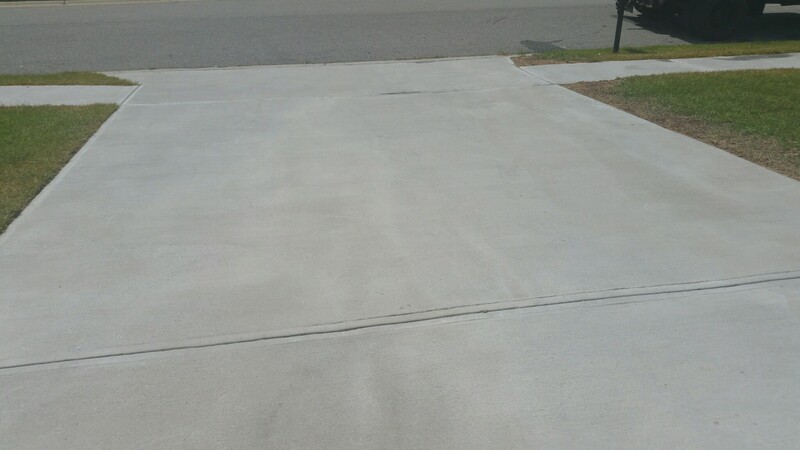 After applying the Muriatic acid not only did the client etch his concrete (which is visible in the after pictures of the rust removal). He still did not remove the rust stains. The wife had enough and she gave searched the internet for “rust removal savannah ga” and found Chatham Property Maintenance. We got her rust removal service scheduled the same week and produce her with satisfying rust removal results. 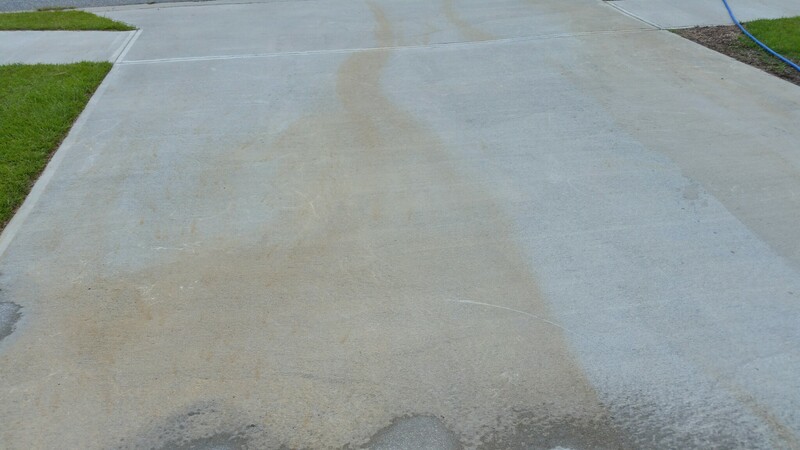 For rust stains we use a proprietary cleaning agent, our process does not harm concrete.